The Pumptastic Scot: First dates with Type 1 Diabetes! When you live with a physical disability that is visible to the people around you, it is hard to control how you are viewed because of previous stigma. Having an invisible disability means that you can control how people view you, and it means you have to decide how and when you let people in on what you deal with. 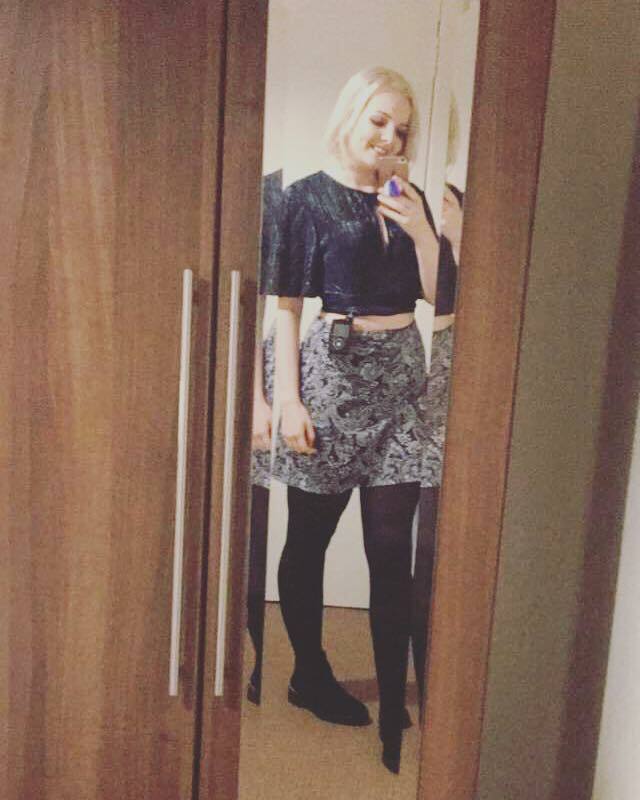 On a normal day, I am very open to talking about living with Type 1 Diabetes, however when you go on a first date, it is very different! Going on any first date is really nerve racking to begin with, knowing how to conduct yourself and how to act. You have to try and impress without being over the top, try and get to know the person your dating, and health issues aren't always on the top of the conversation agenda, however often they are really important to bring up. When I try to impress someone, I personally don't feel it is very 'inviting' to tell someone that I wear a cannula and an insulin pump 24/7, that I can get very easily get unwell and I might need someone to look after me. I always get afraid that they may feel it is more trouble than it's worth. When I first started dating, I never brought it up until the second date, as I honestly didn't know how to handle things in that situation. Even testing my blood sugar and taking insulin, I would go to the toilet and take it to hide it more, but I feel now that it wasn't the best tactic to take. I then tried to be honest about it, and mentioned it in the first date, but I was nervous about doing this and I made too big a deal of it, made it a big drama and went into the details. Living with Type 1 is a big part of my life, but it is only a small part of me and my personality. By doing this I made it seem like it was the only major part of my life. I now tend to wear a small part of diabetes show, to try and give the impression that I have nothing to hide (which I don't!). 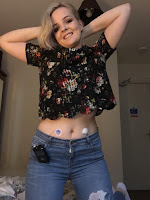 For example, I will have my insulin pump visible by clipping it to my skirt/trousers, or I'll have my cannula from my insulin pump showing on my belly. I don't even mention it until my date asks, and I just get on with things, check my blood sugar and take my insulin as normal. Even though I'm not often confident about opening up fully, confidence is key because it isn't a topic I can or should avoid at the end of the day. I have very limited experience on this topic, and this only really counts if you go on a date with someone you've never met before, but it has been a bit of a nerve-racking experience for me in general. First dates are difficult in the first place, but I added extra pressure onto myself that I really didn't even need to! If he's not happy to get along with the problems you have then he's no bloody loss anyway. Love this! As a type 1 diabetic I know how difficult it can be sometimes however I personally have no problem with whipping out my injections in public and getting on with it, as sometimes going to a public bathroom isn't the most convenient. If they have a problem with me doing what I have to do to survive then thats their issue... they should think themselves lucky they don't have to live with it! You can manage your diabetes and live a long and healthy life by taking care of yourself each day. Diabetes can affect almost every part of your body. Therefore, you will need to manage your blood glucose levels, also called blood sugar. destructeur diabète and Maitrisez Votre DiabeteManaging your blood glucose, as well as your blood pressure and cholesterol, can help prevent the health problems that can occur when you have diabetes.